Kollam Supreme Premium Fashion Jewellery is the topmost brand name in Kerala for its super quality Premium Fashion Jewellery ornaments since 1982. Now the Kollam Supreme Premium Fashion Jewellery has 33 direct showrooms across the Kerala state, One shop at Coimbatore and the Middle East satisfies the aesthetic tastes of lakhs of customers. 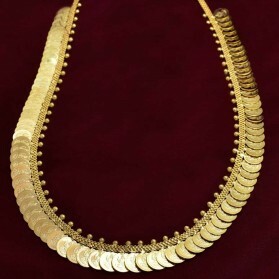 www.kollamsupremeonline.com is an initiative of S.S Agencies to buy Kollam Supreme Fashion Jewellery, Gold Plated Jewellery and one-gram designer Jewellery online. 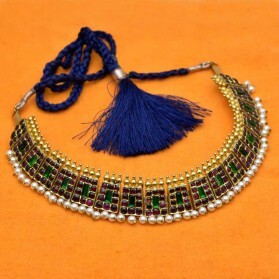 www.kollamsupremeonline.com will delight you with its wide collection of Indian and Western, Fashion, one-gram designer and Gold plated jewellery and gratify you with its excellent customer service. 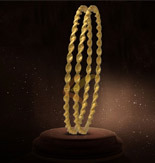 Kollam Supreme manufactures and markets all the quality one-gram designer jewellery ornaments in Kerala's own traditional design models and fashions along with other modern advanced and up to date ornaments of different descriptions. American Diamonds, Pearls, Corals, Dance Ornaments, Temple Jewellery and Semi-Precious Stones and other allied products in diverse models and designs are a few among them. 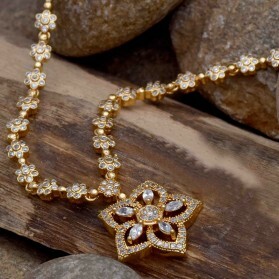 Kollam Supreme Premium Fashion Jewellery has showrooms all over Kerala and UAE. Customers can purchase directly from their nearest showroom. Kollam Supreme Premium Fashion Jewellery satisfies the ever-changing needs of ornaments in different designs and fashions at a reasonable price. This itself is the scope of Kollam Supreme One gram designer products and makes it distinct from the original gold ornaments. 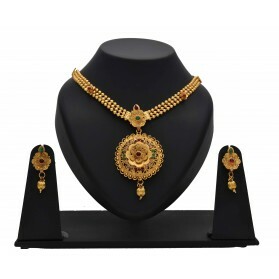 Kollam Supreme Premium Fashion Jewellery ornaments are manufactured with high degree of skill, care, caution and perfection like original gold ornaments. Kollam Supreme Premium Fashion Jewellery follows strict quality control procedures to ensure that consistent high quality of all its products. Each product passes through multiple levels of quality check to ensure a damage-free product is delivered to our customers. Special packaging ensures that the product is not damaged during shipping. We have over 1000s of a unique wide variety of traditional and most modern designs. From our wide range of Finger rings, Earrings, Pendants, Bangles, Bracelets and Necklaces you can choose your perfect piece. You can view the complete product details right down. What you see is what you get. Once an order is placed, we keep you up to date with your order status right from packaging to dispatch and delivery. 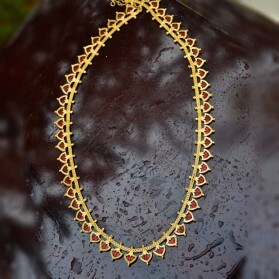 Kollam Supreme Premium Fashion Jewellery is India's first ISO Certified Premium Fashion Jewellery.